Our inaugural Tee designs – She Row and He Row. Inspired by the Great Master himself; Leonardo – this is a new take on an old classic. 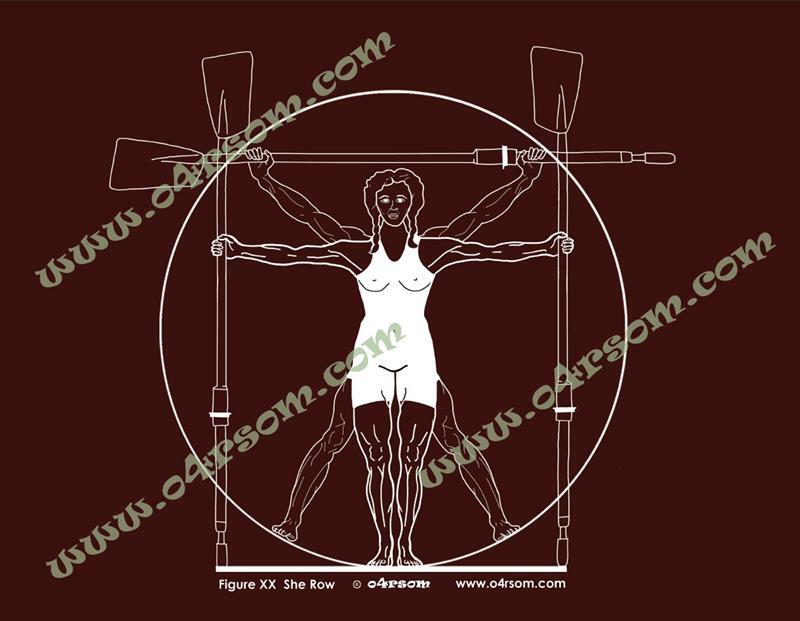 Two cheeky anatomical studies with a definite rowing slant. Hover over picture to view. Click here to open in a Popup Window. Hover over picture to view. Click here to open in a Popup Window. Tees available in black only. 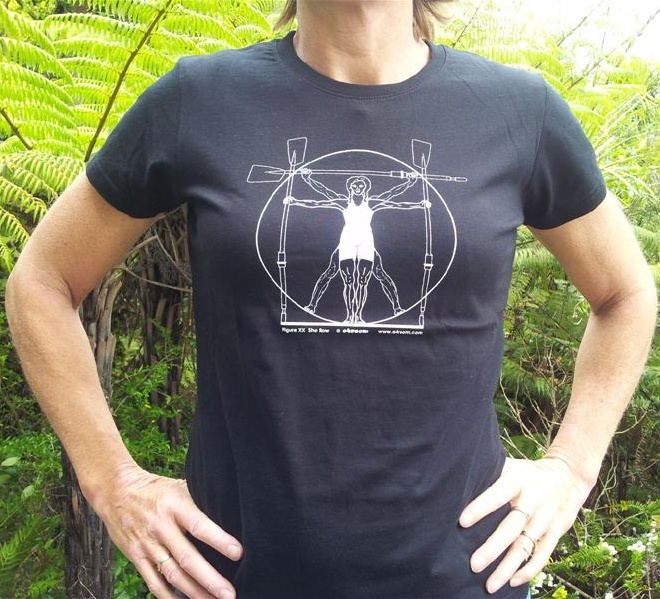 All prices are in New Zealand dollars and for ONE tee unless otherwise stated. Please contact us for multiple orders. Shipping prices are based on New Zealand Post Zones & pricing, which may change from time to time. Shipping includes packaging. For express or Saturday delivery, a surcharge may be incurred. Please contact us to discuss your requirements. Note that our products are available in Australia from The Regatta Shop and in the UK from the Henley Royal Regatta Shop. 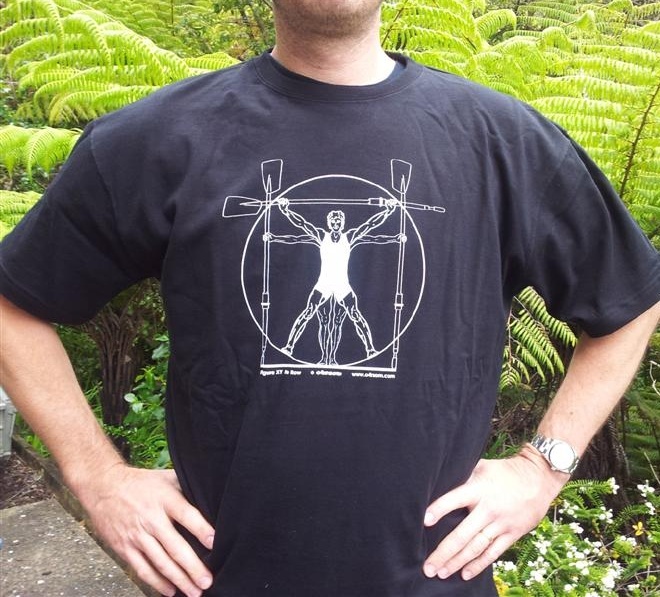 See our stuff at NZ regattas at Robs Oarthentic Oars kiosk. All of our prices are in New Zealand Dollars (NZD). To convert to your local currency, please try a reputable currency-conversion site like Yahoo Finance, or check with your bank. Shipments of items worth up to NZD250 value will be sent by normal mail/airmail. Shipments of items worth over NZD250 will be sent by Express Courier. Postage rates may vary as New Zealand Post changes its rates. Multiple items to the same address will be posted together where possible. We will contact you to discuss shipping options if this is not possible, or if doing this may cause a delay.